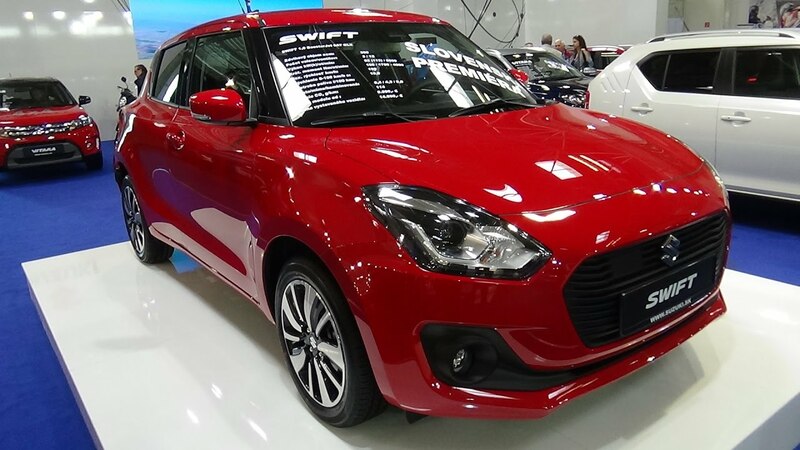 Hello guys new Maruti Suzuki Swift is in the market and it is the 3rd generation of Swift. It was showcased in autoexpo 2018. One of the most loved hatchback in India for past 10+ years. I am publishing this post late because I didn’t get a chance to drive the car, hence the wait. Modernity is really coming in from the daytime running lights, with the headlamps finished very well. The car’s rear sports tail lights that wrap around the fenders and complement the new design up front. 15″ alloys (only on the ZXi+ or ZDI+) are looking good with a nice finishing. It is 400 mm wider, 20 mm longer and 58 litres boot space, yet 10mm smaller than current car. Overall attributes from front looks like Dzire but with the bigger grille it looks more sportier. On the interior of the ZXi+ you get the fully loaded cabin. There is a sense of width that you get from the design of this dash. 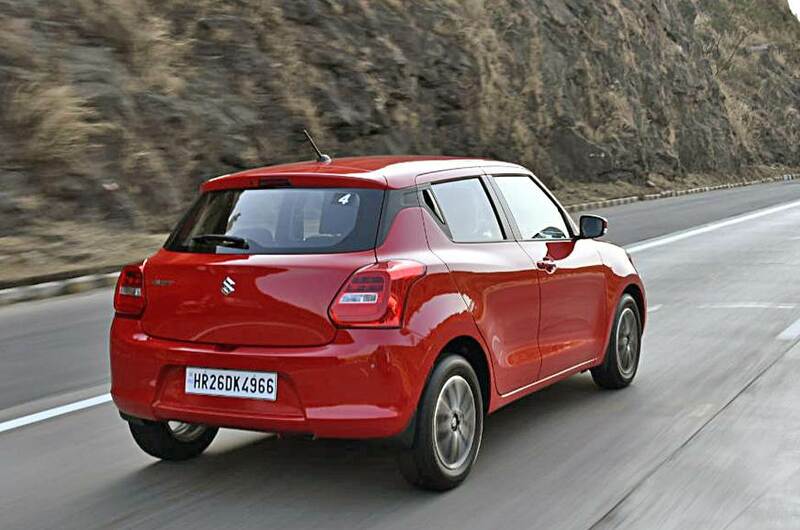 It adds to that sense of space the Maruti Suzuki Swift always desperately needed. The touchscreen in the central console is a carry over from some of the other models so I won’t get into the functionality. (It’s exactly the same as what you see on the S-Cross, the Ignis, the Baleno and so it gives you Apple CarPlay and Android Auto). But it’s only on the ZDI+ and ZXi+. The climate control system is well executed. It’s got a three dial-like design, and the central one is a screen, which has the climate display. The flat-bottom steering wheel, overall plastic quality and the layout will convey that sense of modernity. Dual airbags and ABS are standard. And the car also gets Isofix child seat restraints on the rear bench. But the ‘plus’ variant is not what most people will end up buying so what are you getting on the mid variants? It is disappointing not to see the touchscreen on the ZDi, since it’s only on the ZDI/ZXi+. Maruti Suzuki has gone with its tried and tested duo of engines, the 1.2 K12 petrol and the 1.3 DDiS or Fiat-derived diesel multijet. You might be wondering why maruti is not bring in new engines, but the fact is they do not need new engines. These engines are tried and tested and there are no complaints and issues with these engines. And moreover they are efficient and peppy to drive. Remember that you also get the AMT version with the petrol and diesel engines On the petrol you get 82 bhp and 113 Nm of torque and in diesel it is 74bhp and 190 Nm of torque. Though it feels a little underpowered on paper, but we all know how the old swift used to ride, but for the sporty looks a little more power would have made it better. This same engine is used in Baleno and Ignis and they both also drive well. The petrol Manual would be the best option in my opinion if love driving because it is the best in terms of driving pleasure. But practically diesel AMT would be best for most of the people. The fuel efficiency on petrol is 22 kmph and diesel is 28.4 and pretty much we can get 18 kmph in petrol and 25 kmph on diesel (it is according to my driving style). So my verdict is you should consider buying this car, but Baleno and Igins are also a good option if you only want Maruti Suzuki. There are also other option like i20 and ford figo which are also good option. Listen to post if you dont want to read.